You don't have to be brimming with local knowledge to have a great time in Aswan, but you should have an idea about a few essential facts before you take off. Spending time in a big city like Aswan is a fabulous experience. With a whole host of things to see and experience, your opportunities for discovery here are almost endless. With loads of things to do in this part of Egypt, it's not hard to see why 240,000 people choose to call it home. Get an amazing bargain on your getaway to Aswan by bundling your airfare and accommodation bookings. You can also pick from more than 400 airline partners and 665,000 properties. Are you looking for a worry-free getaway experience? Our Customer 1st Guarantee offers the security of 24/7 personal assistance on our services. Have you noticed a better deal somewhere else? We'll meet the price and refund the difference^. If you'd like to adjust your vacation bookings for any reason, there won't be any hidden charges from us. And so long as you get in fast, many accommodations don't charge extra fees either^. With a nice range of 17 properties up for grabs on Travelocity, you can afford to be picky in Aswan. But remember — the sooner you lock in a room, the sooner you can concentrate on organizing those adventures you've been dreaming about. Have a thing for the finer things in life? 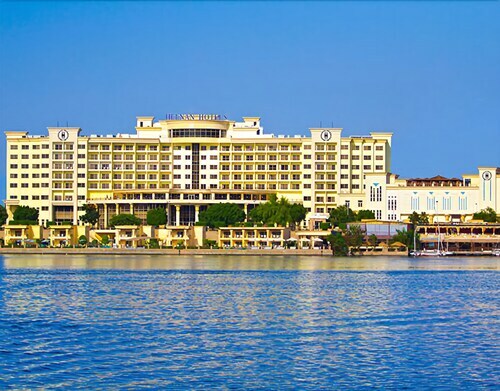 Then spend your nights in true style at the Sofitel Legend Old Cataract Aswan (Abtal El Tahir Street). Watching your budget? Don't worry, you won't be left in the cold. The Hotel Sara (El Fanadek Street) will keep both you and your savings account happy. Where do you fly into for Aswan? There's nothing like the feeling of landing in an entirely new place. If you're jumping on a plane to Aswan, there's every chance you'll be flying into Aswan International Airport (ASW). It's about 8 miles (13 kilometers) to the southwest of the downtown area. Collect your luggage and get ready to kick-start your adventure! Can I rent a car in Aswan? While the popular tourist areas in Aswan are fun to see, why not head out for the day and experience some completely new sights with a rental car via Travelocity? If you need a ride from Aswan International Airport, unfortunately, there aren't any car rental outlets right next to the terminal. You'll have to find other means of transportation to venture into town, 8 miles (13 kilometers) away. Constructed to pay homage to one or many gods, temples afford visitors a captivating look into another culture and religion. Learn about the local belief system and walk around the sacred space that is Philae Temple. Like some more ideas? There's an intriguing selection of archaeological information at Unfinished Obelisk. It's a fun scientific day for the whole family! And that's not all there is. Eager to explore the stories of human history? Gain an expert insight into the peoples of yesteryear at Nubian Museum. Going traveling isn't just about chilling out and relaxing; it's about taking a trip outside your comfort zone and learning different things. Ready for some awesome new experiences? 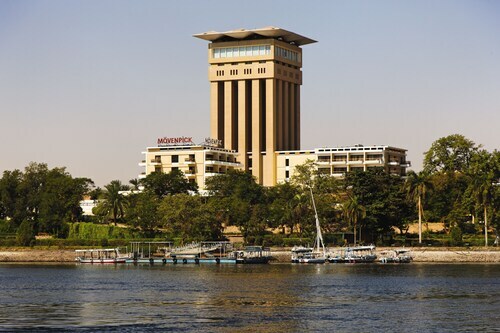 Situated on a river, this luxury hotel is within 2 mi (3 km) of Nubian Museum, Elephantine Island, and Unfinished Obelisk. Kitchener's Island and Aswan Bazaar are also within 2 mi (3 km). 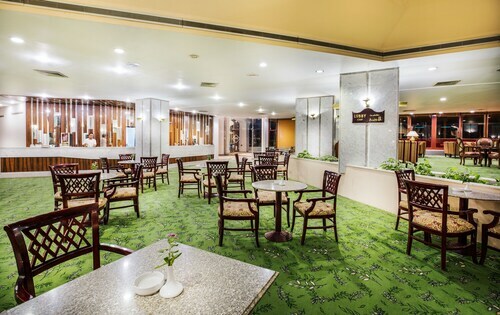 This family-friendly Aswan hotel is located near the airport, within a 15-minute walk of Kitchener's Island and Elephantine Island. Aswan Bazaar and Feryal Garden are also within 2 mi (3 km). 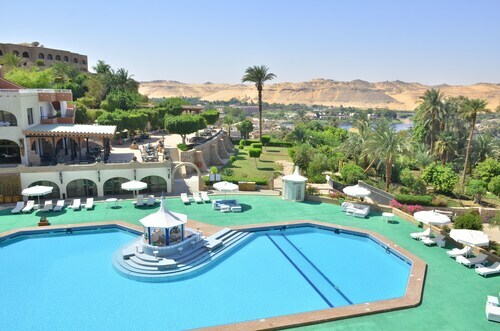 Situated in Aswan, this luxury hotel is within 1 mi (2 km) of Nubian Museum, Elephantine Island, and Unfinished Obelisk. Kitchener's Island and Aswan Bazaar are also within 1 mi (2 km). 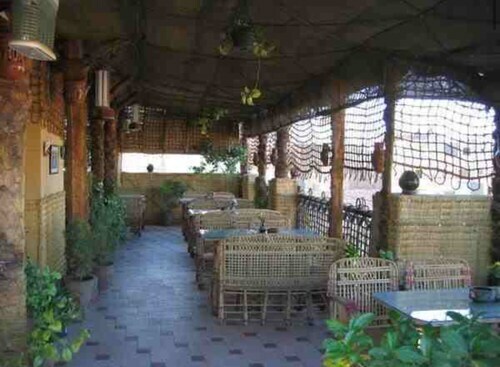 Situated in Aswan, this hotel is within 1 mi (2 km) of Aswan Bazaar, Feryal Garden, and Unfinished Obelisk. Nubian Museum and Elephantine Island are also within 1 mi (2 km). 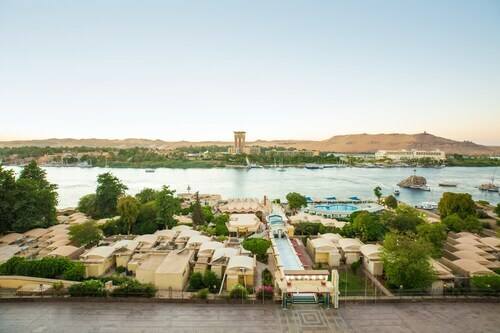 This family-friendly Aswan hotel is within 1 mi (2 km) of Nubian Museum, Elephantine Island, and Unfinished Obelisk. Aswan Bazaar and Kitchener's Island are also within 2 mi (3 km). Located in the heart of Aswan, this hotel is within a 10-minute walk of Aswan Bazaar and Feryal Garden. Nubian Museum and Elephantine Island are also within 1 mi (2 km). Located in the heart of Aswan, this hotel is within a 10-minute walk of Aswan Bazaar and Feryal Garden. Nubian Museum and Elephantine Island are also within 2 mi (3 km). This family-friendly Aswan resort is within 1 mi (2 km) of Feryal Garden and Aswan Bazaar. Tombs of the Nobles and Nubian Museum are also within 3 mi (5 km).